We have many mini trips set up for the summer. We will be traveling and staying in both hotels, rentals, as well as with friends and family. Normally this means we would be traveling with a play yard/travel crib in order to keep our toddler comfy and cozy. I am not a big fan of using someone else&apos;s play yard, but now that we use the MamaDoo Kids Smart Play Yard Mattress Topper, I no longer have to travel with my playyard, I simply pack the foldable mattress topper and place it on the crib or play yard I will be borrowing. Now I know my daughter will be in a clean, safe as well as comfy cozy. 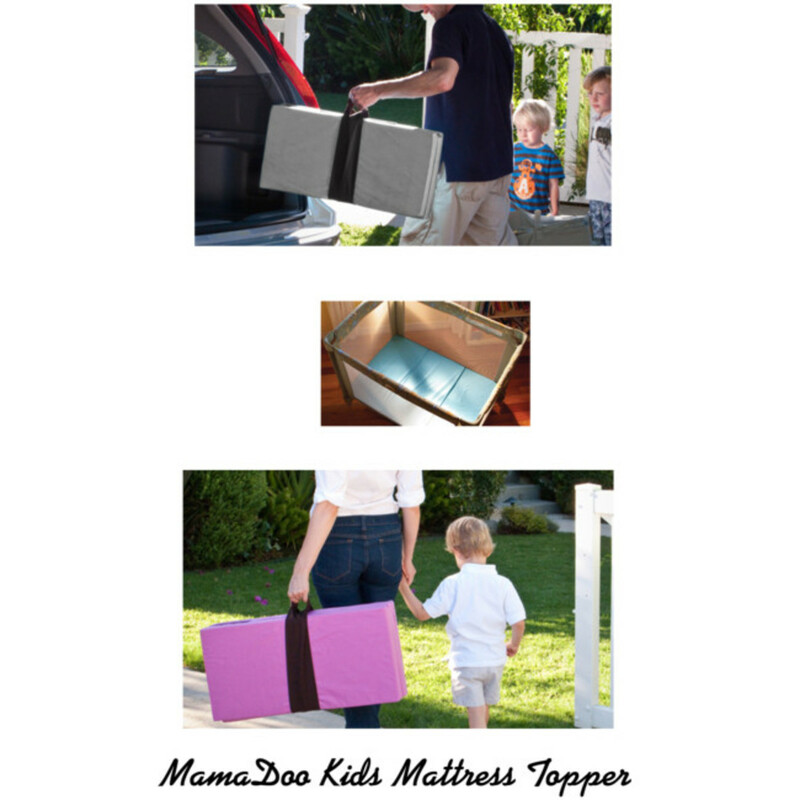 The MamaDoo Kids Smart Play Yard Mattress Topper folds in thirds making it super portable and easy to pack. It is thick, comfortable yet easily fits a standard playyard sheet. The MamaDoo Kids Smart Play Yard Mattress Topper is firm, constructed to match the density and firmness of mommy&apos;s and daddy&apos;s chest and prevents flat spots on babies&apos; head (plagiocephaly) by keeping their heads off th play yard&apos;s hard-floor board and onto the Mattress Topper. The Smart Play Yard Mattress Topper is versatile. When our toddler was younger, it was the perfect play mat, and changing surface. The Smart Play Yard Mattress Topper can also be folded to make a toddler bench, fits under a jumper for a safer surface as well as can be used as a wedge to prop up a crib mattress when your child has the sniffles. The Smart Play Yard Mattress Topper fits perfectly in all standard play yards and it can be washed easily be simply unzipping the soft, cotton cover. 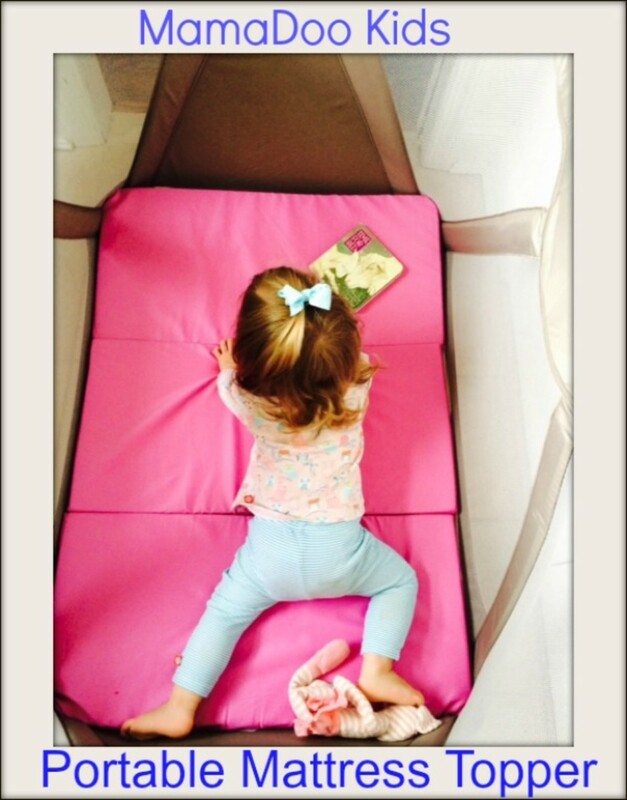 Made in the USA (CA) the Smart Play Yard Mattress Topper is safe for your child, free of all toxic chemicals & flame retardants and it exceeds all US safety standards. The Ultra light and portable Smart Play Yard Mattress Topper comes with its own travel/storage tote. It is available in three colors, the MamaDoo Kids Smart Play Yard Mattress Topper is made from high density and high resilency foam and can be used long term without suffering indentations or losing its shape. 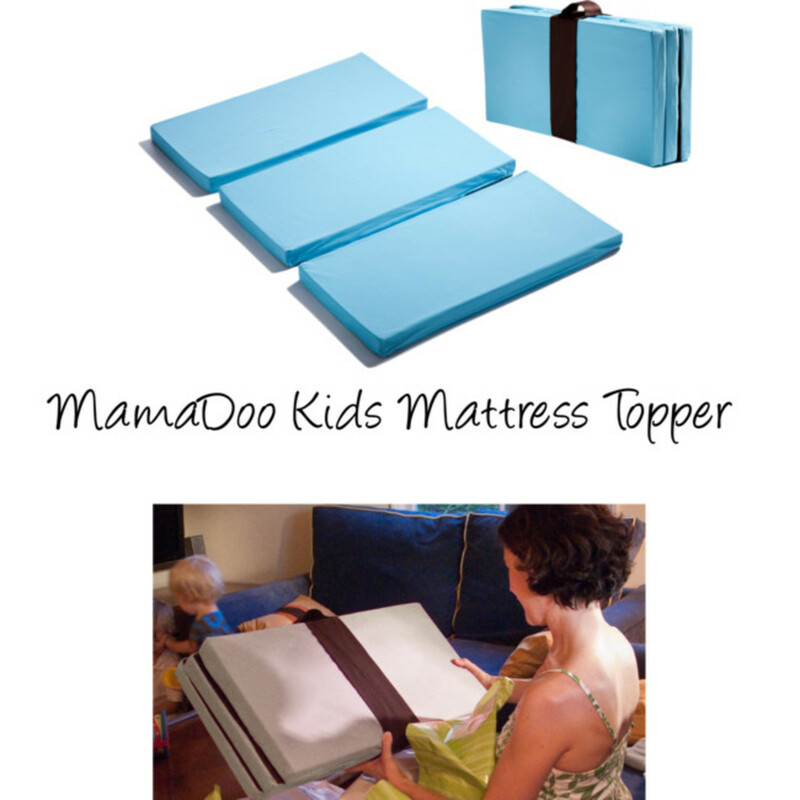 The MamaDoo Kids Mattress Topper is versatile, convenient and makes it easy for your little one to get their must needed zzzz&apos;s.
One Lucky reader of The Shopping Mama will win a MamaDoo Kids Smart Play Yard Mattress Topper in the color of their choice.